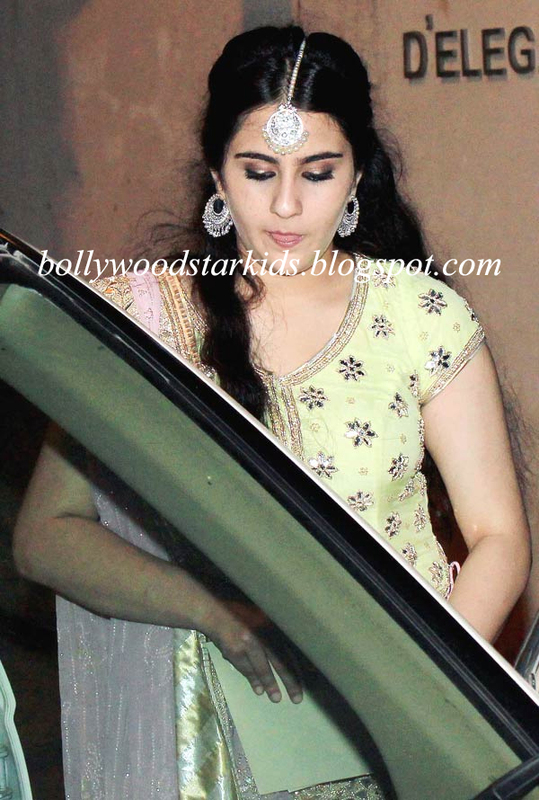 Saif Ali Khan's daughter with his first wife Amrita Singh, Sara Ali Khan, attended her dad's sangeet function held at Kareena's Bandra residence on Sunday (14 oct 2012), as part of the Saif-Kareena pre-wedding festivities. 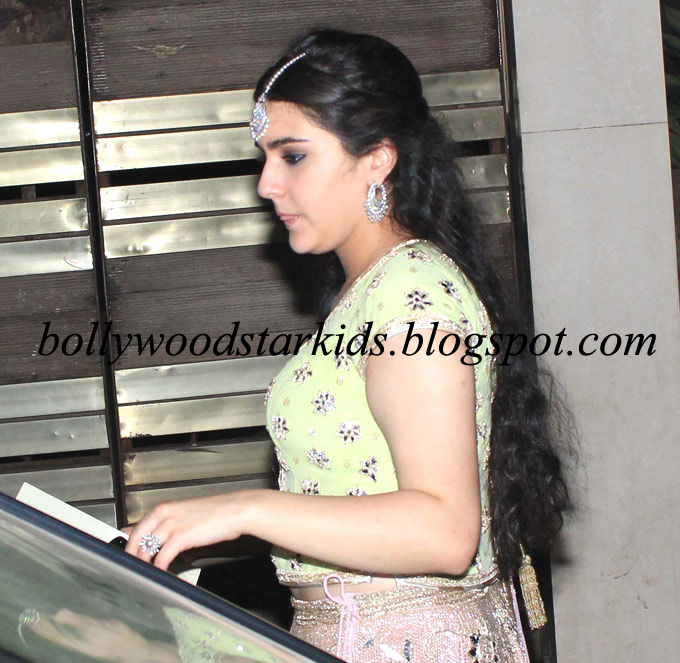 Sara wore a pastel green lehenga designed by Raghuvendra Rathod for the Sangeet Ceremony. She had recently made a public debut at the Ambani party for designers Abu Jani and Sandeep Khosla. 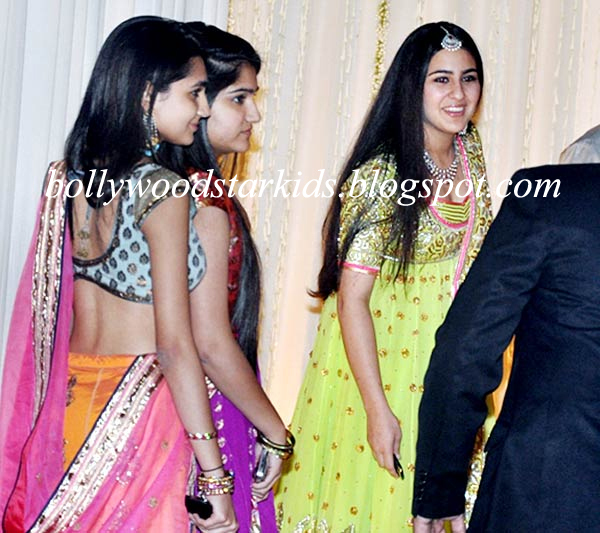 Other family members at the sangeet were Saif Ali Khan's sisters, actress Soha with beau actor Kunal Khemu and jewellery designer Saba Ali Khan. Saifeena will register their marriage at Saif's residence in Mumbai on October 15 and then they will fly to Delhi where the couple will have a nikaah ceremony on October 16 followed by a reception on October 18. Saif Ali Khan and Kareena Kapoor were sighted last night (Monday 15th Oct) having a family dinner at the Taj Mahal Palace, Tower hotel in Colaba, Mumbai which was attended by both families. 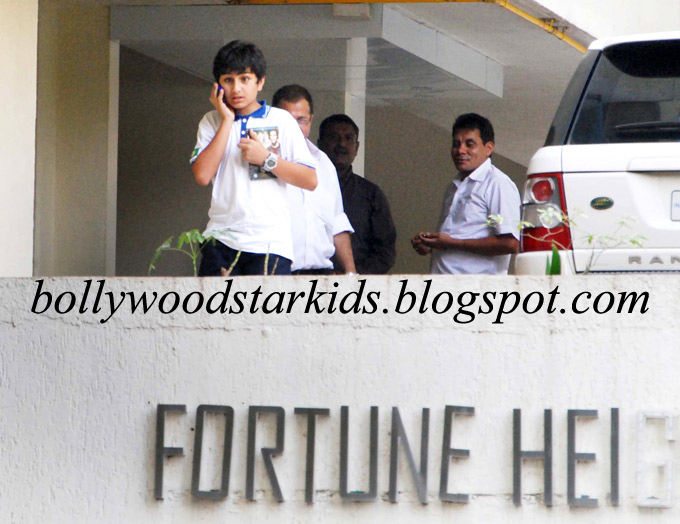 Spotted on the day at Saif's home at Fortune Heights was son Ibrahim Ali Khan. THIS MARRIAGE highlights the difference between India and Pakistan. What would have been the response if a Pakistani Hindu married a top female Moslem film star of Pakistan. India's Moslem stars would not be such big stars if the Indian population did not love and support them.Religions must help humanity to live in peace and harmony. Whenever religion is used for divisions, disruptions, hatred and violence it is tantamount to villains making GOD a partner in their crimes. HE made each one of us with love and a purpose. Those who contradict this fact are challenging and insulting God. How can they love the Creator by hating His creations ? ?.